Professor Guerrero's Blog: Could Someone Be Plagiarizing Your Writing? Writers: How Do You Cope with Give Up Moments? Why do men prefer long hair in a woman? Could Someone Be Plagiarizing Your Writing? 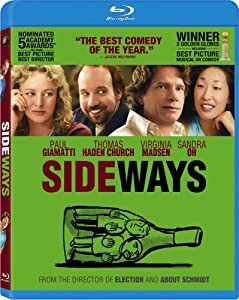 Cover of Sideways [Blu-ray] I received an interesting email a few days ago. It was from someone who had found a couple of my articles plagiarized on a self-published author’s Facebook fan page. Naturally, I was curious. Upon following the link, I did find two of my articles—one of them with a slightly different title, the other with its original title. The woman had named herself as the author of the articles, and had not given credit or linked back to Write It Sideways in any way. Okay. So, I was a little miffed. I wrote her a polite note asking her to credit me and link back to my site. What happened next shocked me, although perhaps I’m naive to not have expected it. With no real expectation of what I would find, I plugged a short excerpt of those same two article titles into a Google search, and came up with another (unrelated) site that seemed to have used my work. Lo and behold, there were my articles again. Only this time it wasn’t just two articles. Nearly all of the content on this site for the past three months was made up of my writing. The person in charge of this blog had taken at least 17 of my posts, slightly changed the titles, posted large excerpts of my writing interspersed with a few thoughts of her own, and put her name on them. A few of them were cut and pasted word-for-word, still signed with her name. What’s worse? This blog’s About page claimed it was officially connected with a self-publishing company. The company’s Facebook fan page had some of my plagiarized titles in their feed. I sent the blogger and the company separate emails, and heard back from the blogger within 24 hours. She gave no explanation but expressed her apologies, and has since removed all of my work from the site. However, I haven’t heard anything back from the company. So, we’re not talking about simply using someone else’s work, but using it and then claiming you wrote it. After some time to consider things, I’ve decided this online battle with plagiarism is one I’m not going to actively fight. There’s nothing I can really do about it, other than ask them to take down the work or credit to me.Being angry over something you can’t change saps a lot of energy. I’d rather use that energy for something more productive.No one can build a successful blog on blatantly plagiarized content, because sooner or later they’ll get caught.It doesn’t matter whether you put up a copyright notice or not, people will still use your work and put their name on it. Some bloggers, like Leo Babauta of Zen Habits, have uncopyrighted their material, which means people are free to use it, change it, distribute it, and do basically whatever they want with it, and not have to give the author credit. I’m not going that far. I understand the reasoning behind uncopyrighting your work, but I’m not going to tell people it’s okay to use my stuff and take the credit for it. That said, will I go searching for plagiarized content on a regular basis? No. I won’t waste my time. If someone brings it to my attention, as in the case of the email I received, sure—I’ll check it out. These are my personal feelings on the issue at this point in time, but that doesn’t dictate what you can/should do in a similar situation. You can help protect yourself by putting a copyright notice on your blog, and by regularly using a plagiarism checker. Or, you can uncopyright your work and forget about it. Anyone who has taken a high school English class knows what plagiarism is, and why it’s wrong. But what about ensuring we’re giving our sources the type of credit they deserve? Even if work is uncopyrighted, we have a moral obligation to credit the author. If you want to quote another blog, use only a short excerpt.Mention the author’s name in conjunction with the quotation or excerpt.Add a link to the author’s website, if they have one.If you want your readers to read another blog post in its entirety, use a link to direct them there instead of copying and pasting their entire post.When using someone else’s thoughts or ideas, mention them and add a link to their website. Like all writers, I love it when people use my articles as springboards for their own posts, or share links to my work. I hope people will continue to do that in the future. What would you do if you discovered your work had been plagiarized? How do you feel about uncopyrighting? Are you guilty of not giving proper credit when you use other people’s work? Please share and promote this article if you enjoyed reading it! Get new articles for free. Type your best email below and click Send to my Inbox. Or, if you like catching up via a feed reader, please subscribe using RSS. Comments on "Could Someone Be Plagiarizing Your Writing?"